Your morning dose of need-to-know news, weather and more. A wind advisory will be in effect Tuesday afternoon through Wednesday morning for parts of San Diego County. Isolated gusts of 60 mph are possible, according to the advisory issued by the National Weather Service. The wind event will begin around noon Tuesday and could produce west to southwest winds between 25 and 35 mph at the coast and inland valleys and 45 to 55 mph for the mountains and deserts. 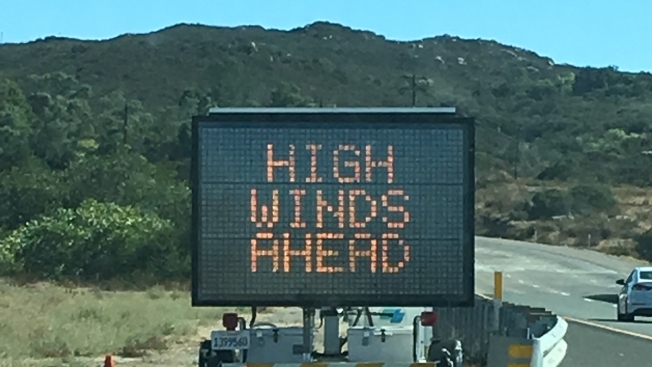 The gusts could make driving high-profile vehicles difficult and may create blowing dust and sand, limiting visibility on some desert roads. The NWS urges hacks to use caution on Interstate 8 east of Alpine. Residents in Julian and other mountain communities may be affected, according to the NWS. Along with gusty winds, some sprinkles are possible overnight for areas west of the mountains and all areas will experience cooler temperatures. Temperatures are expected to be in the mid-60s along the coast, the upper-70s inland, the mid-50s in the mountains and the upper-80s in the deserts.